There is a lack of integration between mobility, falls, and cognitive research. The Gait and Brain Lab is paving a new way to approach the problem of falls and falls prevention in older adults with cognitive problems: to improve cognition in order to improve mobility. The SYNERGIC TRIAL (SYNchronizing Exercises, Remedies in GaIt and Cognition, A Randomized Controlled Double Blind Trial) is uniquely designed to evaluate the effect of aerobic and progressive resistance training exercises, isolated or combined with cognitive training and vitamin D supplementation, in older adults with Mild Cognitive Impairment (MCI). This trial will be conducted by the Motor Exercise and Cognition Team which is part of the Canadian Consortium in Neurodegeneration and Aging (CCNA). This trial is registered at www.ClinicalTrials.gov (NCT02808676). The NIBS research project is examining whether a method of non-invasive brain stimulation, called repeated Trans-cranial Magnetic Stimulation (rTMS), will improve walking ability and cognition in individuals with executive dysfunction. This study is conducted with co-investigator Dr. A. Burhan at Parkwood Institute, Mental Health. This trial is registered at www.ClinicalTrials.gov (NCT02740530). Team 12: Mobility, Exercise, and Cognition (MEC) is led by Manuel Montero-Odasso and co-led by Louis Bherer, who each focus on the relationship between physical activity, motor performance and cognitive decline in aging and neurodegeneration. Motor and cognitive decline in aging often interact because of the common brain networks they share. Aging associated or diseases driven neuroanatomical changes in these networks have consequences for motor learning and control, memory, executive functions, gait and balance in older adults. More importantly, motor and cognitive decline are important risk factors for dementia, falls and fractures and future disability. The MEC Team is focused on the interaction and expression of cognitive and motor decline during the course of neurodegenerative diseases, which will then be translated into innovative exercise-based interventions. Dr. Manuel Montero-Odasso is co-leader, along with Dr. Bill McIlroy from Waterloo, for the Gait Platform for this OBI funded project. 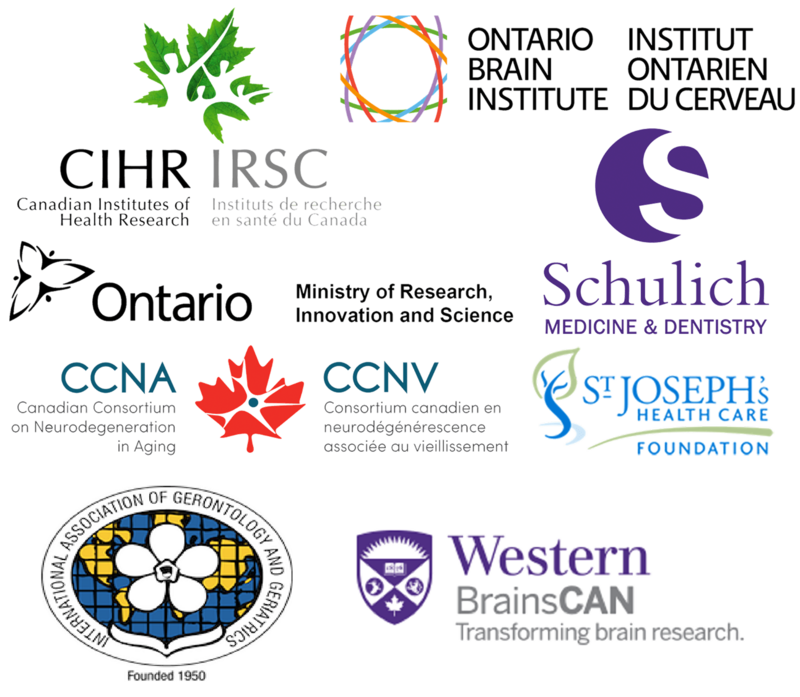 This project is aimed to amalgamate research collaborations across Ontario for common assessment in gait and cognition. Watch Dr. Montero-Odasso describe the gait and balance platform here, find ONDRI Study assessments here, and Dr. Michael Strong (Principal Investigator, Western University) speaking on the future of ONDRI Study here (June 2017). More details can be found at the ONDRI website here. We are evaluating the effect of high doses of vitamin D on muscle function, gait, and balance in older people with frailty. This CIHR funded study examines the question if Vitamin D can have a therapeutic effect beyond supplementation doses. Preliminary result has been published J Gerontol A Biol Sci Med Sci. 2011 May;66(5):568-76.